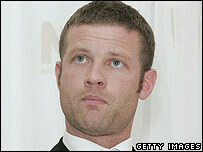 X Factor presenter Dermot O'Leary has announced that he is to quit as the host of Big Brother's Little Brother. The 34-year-old, who has presented the reality programme strand for seven years, said it was "impractical" to work on both shows next summer. O'Leary said BBLB had been "a live show I love with all my heart". He will present Big Brother: Celebrity Hijack in January on E4, a show which puts some well-known faces in control of a group of housemates. The new intake, who will compete for a prize of £50,000, are said by Channel 4 to be some of the most gifted young people from around the country. O'Leary, who was confirmed as the presenter of the current and next series of ITV's The X Factor in March, said it was with "great regret" that his time on Big Brother would end after January's programme. He said: "For the last seven years I've had the time of my life working on Big Brother's Little Brother, from our broom cupboard days to the all-singing and literally all-dancing show we make now." Angela Jain, Big Brother commissioning editor, said BBLB - a daily magazine show discussing the latest dramas in the Big Brother house - was "Dermot's little baby from the start". "He was our first choice and the best choice. We will miss him and all the laughter and professionalism he has brought with him," she added. Davina McCall, the original presenter of the main Big Brother shows, is due to return for next summer's series. Last April, comedian Russell Brand quit the Big Brother's Big Mouth spin-off show after three years to concentrate on other projects.